Just what is heavy water? The Kakrapar Atomic Power Station (KAPS), located near the town of Vyara in the Tapi district of Gujarat faced an emergency situation on Friday when a heavy water leak was reported. An expert from the Atomic Energy Regulatory Board (AERB) has reached KAPS, which has two indigenous Pressurised Heavy Water Reactor (PHWR)-based NPP Units of 220 MW capacity that were commissioned in the 1990s. So what exactly is heavy water and how is it important in the running of an atomic power station? To begin with, one needs to understand ‘Isotopes’ as the factor which defines heavy water and its importance for nuclear technology. To understand it better, one needs to begin from the basic concept of atoms (building blocks of an element) which contain protons, neutrons and electrons. The nucleus of the atom is made up of neutrons and protons. Atoms having the same number of protons but different numbers of neutrons are called isotopes. Hydrogen, as an element, has three commonly known isotopes including Protium, Deuterium and Tritium. Among these three isotopes, Protium, or Hydrogen-1 is the most commonly found one. Here ‘1’ refers to the total number of protons and neutrons present together in a particular isotope. Atoms of this hydrogen isotope consist of a single proton with no neutrons. Hydrogen-2, or Deuterium is another isotope of hydrogen, which is much rarer. Its atoms consist of one proton and one neutron. A bond of two hydrogen atoms and one oxygen atom forms water. In light water-by far the most abundant type of water in nature-the two hydrogen atoms are both of the Hydrogen-1 isotope, while in heavy water, the hydrogen atoms are both of the Hydrogen-2 isotope. There is a similar concept regarding Uranium which is found mostly in two isotopes-Uranium-235, with 92 protons and 143 neutrons, and Uranium-238, with 92 protons and 146 neutrons. Difference of three neutrons between Uranium-235 and Uranium-238 makes for a huge difference in terms of a chain reaction. While Uranium-235 can sustain a nuclear chain reaction, the latter cannot. While Uranium-238 is commonly available, Uranium-235 is not. 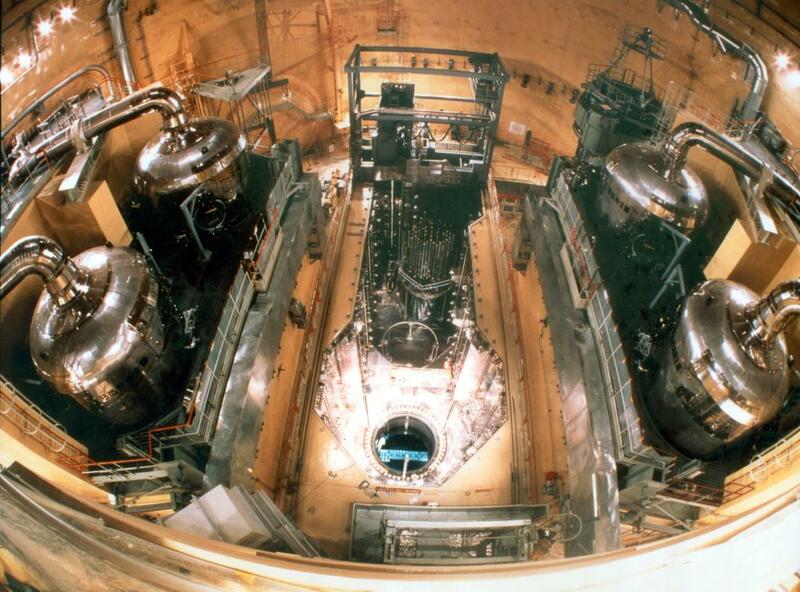 But most nuclear reactors require a much higher percentage of Uranium-235 to maintain a nuclear reaction. It needs huge efforts like giant rows of centrifuges for instance to increase the amount of Uranium-235 so that it can be used in power plants. But, with the help of heavy water, this huge effort could be bypassed as the water can use unrefined Uranium as a fuel. The importance of heavy water can be gauged by the fact that Iran has promised to provide it to the US under the recently-concluded deal between the two countries, which in turn, has led to the lifting of international sanctions on Iran.